England captain Heather Knight faces a race to be fit for the upcoming Women's World Cup, which England are hosting. The 26-year-old felt some pain in her left foot in the latter stages of last month's training camp in the United Arab Emirates, and a scan revealed a small metatarsal stress fracture. Knight is set to miss five to six weeks but hopes to return in time for the tournament, which begins on 24 June. England's first warm-up game is against Sri Lanka at Chesterfield on 19 June. The England and Wales Cricket Board expects the skipper - who averages 32.58 with the bat in 66 one-day internationals since her debut in 2010 - will be available for that match if her recovery goes as expected. She will wear a protective boot for two to three weeks before resuming light training. 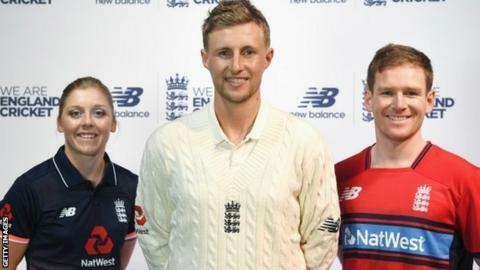 The World Cup is set to be Knight's first major tournament as captain after she succeeded long-serving skipper Charlotte Edwards last year. The BBC Sport website will show video highlights of the Women's World Cup, which takes place between 24 June and 23 July.